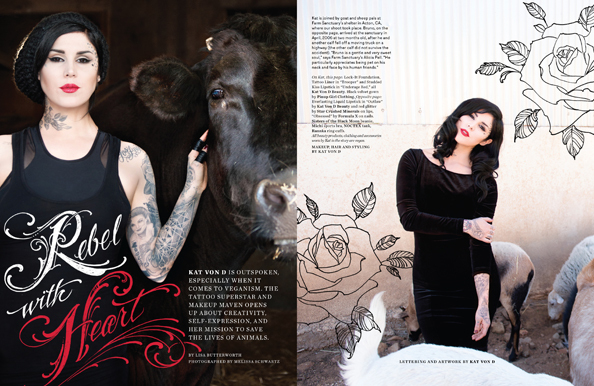 Kat Von D is a world renown tattoo artist, creative powerhouse, makeup maven and the stunning cover star of LAIKA Magazine’s newest Sixth Issue. The force behind Kat Von D Beauty opens up about veganism, how she’s turning her makeup line vegan and about being a fearless animal advocate. In her first-ever vegan magazine interview, she shares with LAIKA her heartfelt thoughts about self-expression and her artistic process. 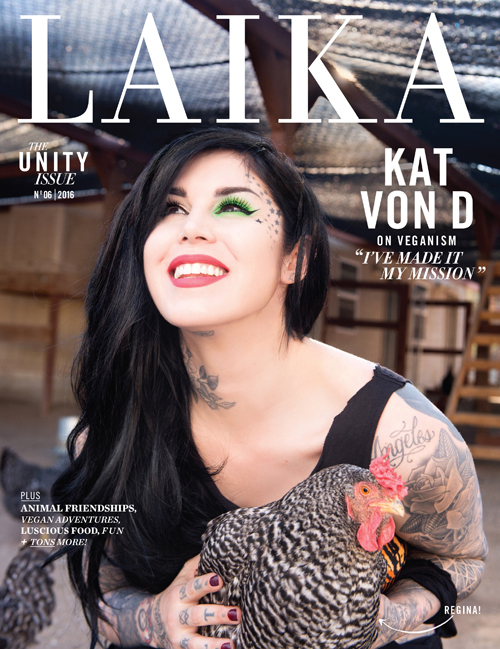 Bonding on the cover with Regina hen and with more animals rescued by Farm Sanctuary in the feature, Kat is the embodiment of our new issue’s theme — Unity. Inside the Unity Issue, we bring you poignant explorations on friendship, community, family and the kinship we share with one another and with our planet’s fellow inhabitants. 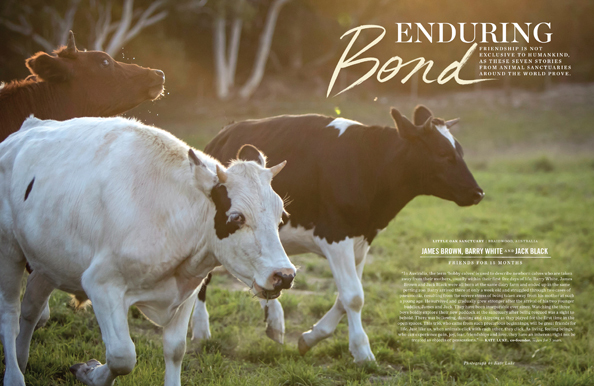 Stories like “Enduring Bond” showcase not only the individuality and emotional depth of the animals, but also our remarkable commonalities with them. Throughout LAIKA’s 6th issue, we draw attention to the impact of coming together in stories like “Plant Power,” about the growth of the food sovereignty movement and community agriculture; and “The Once and the Future,” a compelling series of cross-generational dialogues between vegan trailblazers and vegan teens. 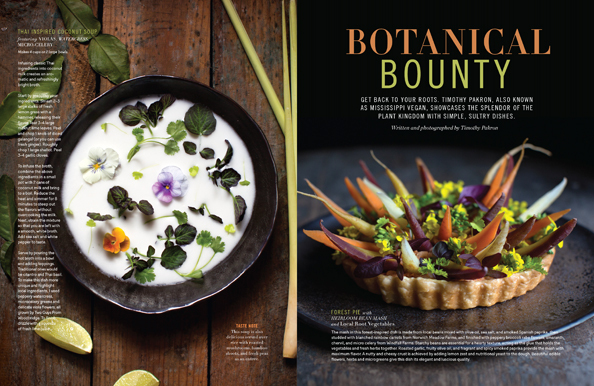 We feature food that connects us with the simple splendors of the plant kingdom from the likes of Lina Saber and Mississippi Vegan. There’s fashion that transcends boundaries, beauty that celebrates nature, and journeys that cross continents. Every page of the Unity Issue is designed to uplift, to provoke and to underscore the power and joy of co-existence. With gorgeous illustration, award-winning photography and unforgettable storytelling, LAIKA provides you, our dear reader, with an immersive experience that will leave you inspired and moved. Stay tuned for more behind the scenes photos and videos from our Kat Von D cover shoot. Order your copy of the Sixth Issue of LAIKA or subscribe today. On the Cover: Photography by Melissa Schwartz; art direction by Julie Gueraseva; makeup, hair, styling and artwork by Kat Von D.